Wildflower turf is fast becoming a `must have’ feature of any garden and is the perfect way to bring biodiversity into your garden. Once you have installed even the smallest area of wildflower turf into your garden scheme, you will amazed just how many insects, Bee’s, butterflies, birds, grass hoppers and other fantastic insects are instantly attracted into our own little piece of England. Just the sound of all of this activity is enough to make you appreciate what the garden was lacking before, and then of course there are the wildflowers and grasses which add yet another dimension as the seasons change throughout the year. Even a small piece of wildflower meadow installed as a border or backdrop to a manicured lawn can be extremely attractive because it provides a stark contrast between formal and informal. Why use Wildflower turf rather than seed? Wildflower meadows have never been easy to establish from seed – even well-established experts often find they are beaten by the inevitable invasion of weeds and weed grasses. Although this is simply nature’s way, it can be a little frustrating watching weeds over-run the desirable wild flower plants leaving the meadow looking shabby and undesirable. So what’s the answer? Why bring on the Wildflower turf of course! 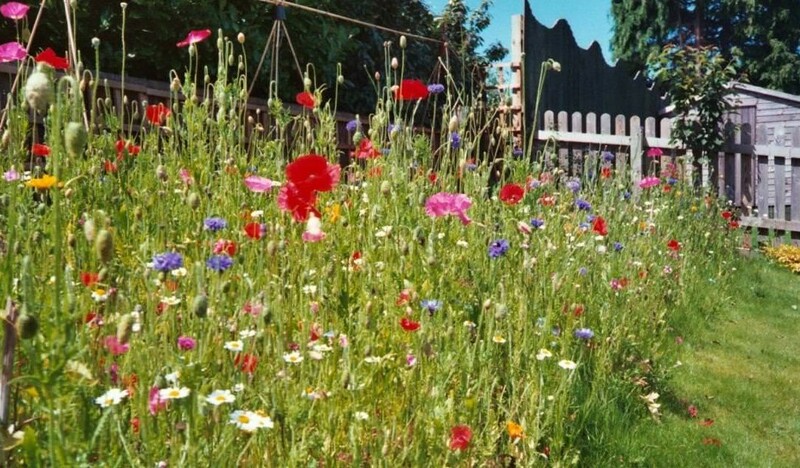 By choosing to lay wildflower turf instead of `risking it’ with wildflower seed, you will be able to create an instant wildflower area without the pain and maintenance of many years of wildflower seed establishment. When preparing ground for wildflower turf it is important to kill off any weeds and vegetation or strip the ground of vegetation prior to soil preparation. Stubborn weeds such as thistles docks and nettles may require more than one treatment to make sure the roots are dead. Providing the ground is graded at the appropriate levels and the soil is clean it is not always necessary to cultivate, however rotovating and raking down to create a fine tilth will often help to achieve the perfect surface. How do I lay wildflower turf? Wildflower turf should be laid in the same way as regular lawn turf, abutting each turf in a staggered formation. Once laid it is extremely important not to let the turf to dry out as even allowing it to become too dry for a short period of time could cause the wildflower varieties to suffer. So always make sure you water on a daily basis until the turf is fully rooted. A great tip to extend the flowering season is to under plant your wildflower area with bulbs. This is really easy to do at the installation stage – simply spread the bulbs on the soil and then lay the turf on top. The Lawn Store sells a range of spring and summer bulbs which have been specially selected to work in conjunction with wildflower turf making it even easier and virtually fool proof. Where do I buy wildflower turf? 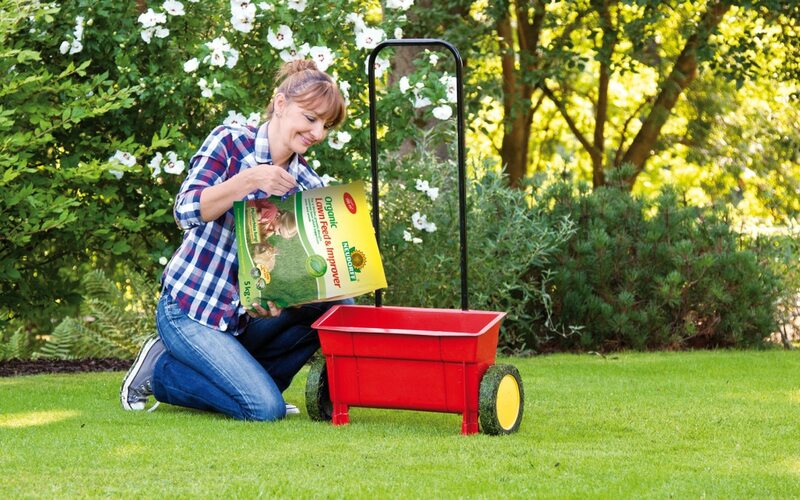 If you want to have a go yourself, The Lawn Store can supply three different varieties of wildflower turf as they are accredited suppliers of Wildflower Turf Ltd. The wildflower turf contains a variety of grasses and flora to enhance the biodiversity in your garden, and by incorporating wildflower turf into your lawn, you’ll create an ideal area for wildlife, bringing a variety of birds and creatures to your garden. Their wild flower turf contains a variety of grass and plant seeds, providing an interesting mixture for your garden. Wildflower Native Turf contains a mixture of wildflowers which are only native to the UK, Wildflower Border Turf contains the same mixture as the native turf with the addition of 15 non-native wildflower species which offer extra colour and will extend the flowering season. Wildflower Shade Turf has been designed to be much more shade tolerant for under trees or other shady application, however will still thrive in open meadow sites.